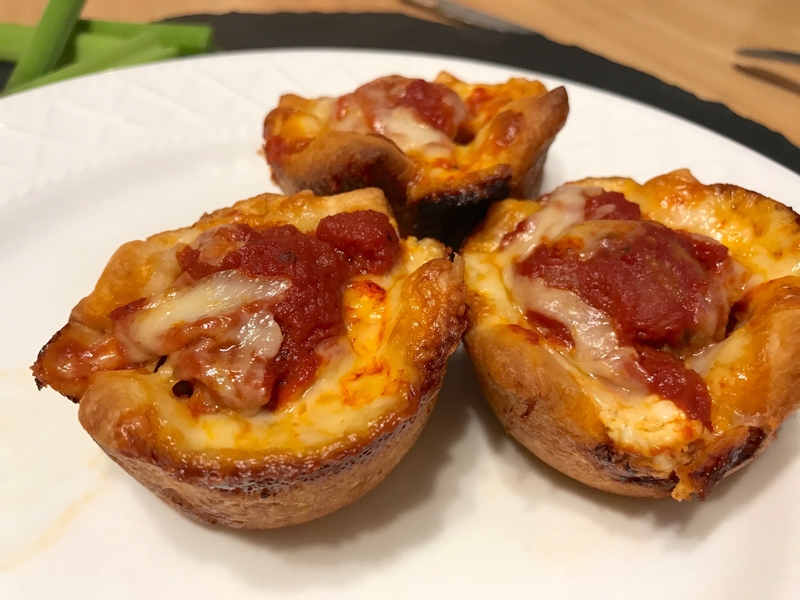 Meatballs, cheese, and sauce all baked into flakey dough...these little guys are sure to please! Spray 12 regular size muffin cups with cooking spray. Remove dough from can; press seams to seal and press into an 8x18 inch rectangle. Cut dough into 12 squares. Press squares into muffin pan cups. Combine cream cheese, Italian seasoning, 1/4 cup mozzarella cheese, and 1/2 cup curd crumbles. Divide the cream cheese mixture in the bottom of each muffin cup. Place meatballs on top of cheese; top each meatball with 2 tablespoons spaghetti sauce. Sprinkle with remaining muenster cheese.